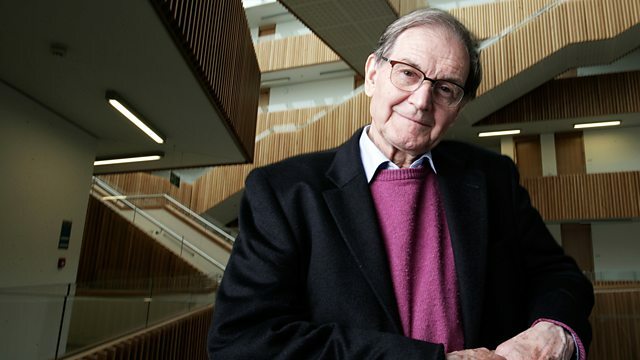 Sir Roger Penrose takes a personal journey through artist MC Escher's work, marvelling at his intuitive brilliance and the light it still sheds on complex mathematical concepts. World-leading cosmologist Professor Sir Roger Penrose is more than just a fan of MC Escher's mind-bending art. During the course of a long creative collaboration, the British mathematician and the Dutch artist exchanged ideas and inspirations. Some of Escher's most iconic images have their origin in Penrose's mathematical sketches - while the artist's work has served as a starting point for the professor's own explorations of new scientific ideas. To coincide with the first ever Escher retrospective in the UK, Penrose takes us on a personal journey through Escher's greatest masterpieces - marvelling at his intuitive brilliance and the penetrating light it still sheds on complex mathematical concepts.